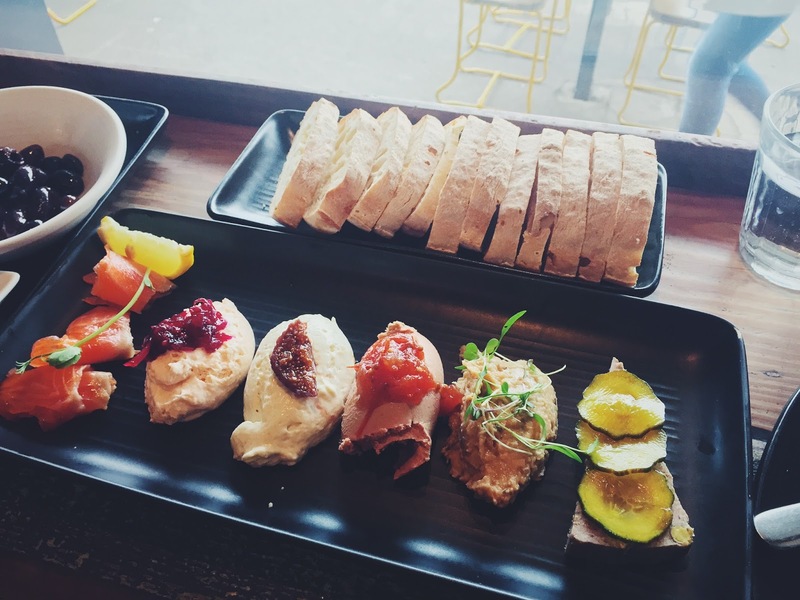 My mum and I took a short 3-days-trip to Daylesford in the Winter holidays, and of course, I compiled a list of restaurants to visit before we went based on the recommendations from Martin, the host of our Airbnb, Musk House (beautiful cottage, highly recommend) and some research on Zomato. Larder was high on our list, because Martin said that it served up the best coffee in Daylesford. 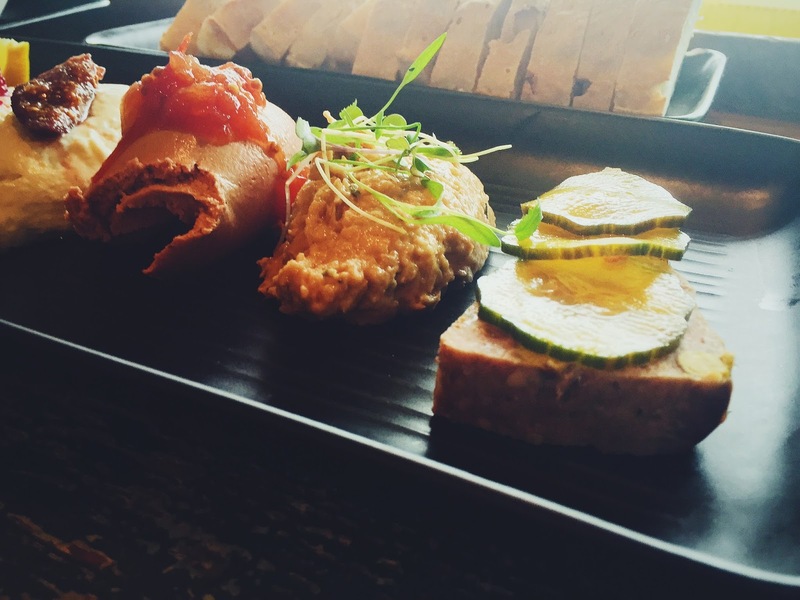 Because we were still full from brunch earlier that day, we decided to opt for a few things to share. First up were these glistening olives. 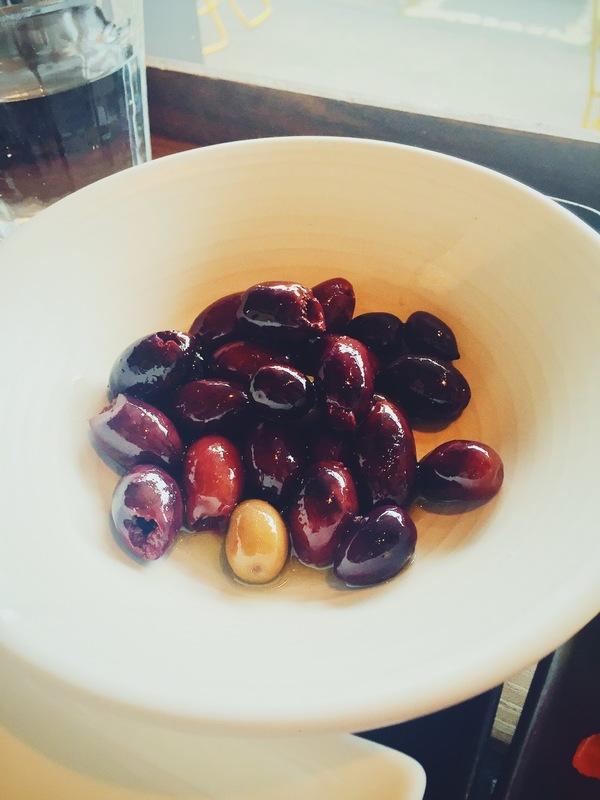 There were a selection of different olives from the region – forgive me for not knowing the specific names, I’m no olives connoisseur – and they were exactly what we expected. Salty and briny, and the olive oil was excellent to dip the warm ciabatta in. And because we’re both super indecisive, the sharing plate gave us the perfect opportunity to try a bit of everything. The pate was silky smooth, and very tasty. The roast fennel and cannellini bean dip was our favourite, surprisingly. The dip still had some chunkier bits in it, adding some dimension to it, and although slightly on the saltier side of things, we couldn’t stop eating it! I also loved the pistachio in the chicken and pork terrine, it was a pleasant surprise. I wish the ocean trout were cured a little more, it just tasted like fresh ocean trout to me. The smoked trout mousse was definitely very fishy, which we liked, and the beetroot relish on top paired well with the mousse. The gorgonzola mousse definitely had a distinctive flavour, and if you’re not a fan of blue cheese, this one is not for you. 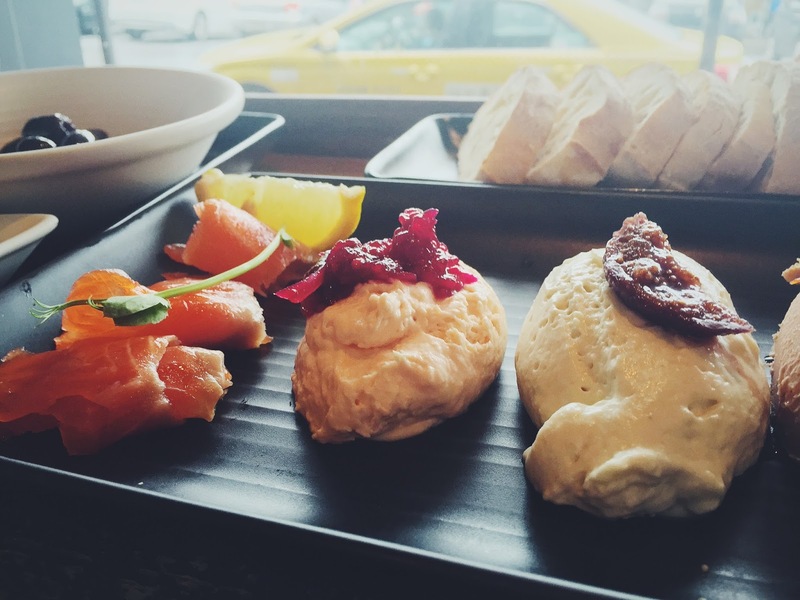 The texture was a lot lighter than the smoked trout mousse, which we preferred. If the weather was a bit warmer, the outdoor seats would be perfect for people-watching. Larder was buzzing with customers when we visited during the lunch hours, I can definitely see its appeal to both locals and visitors. 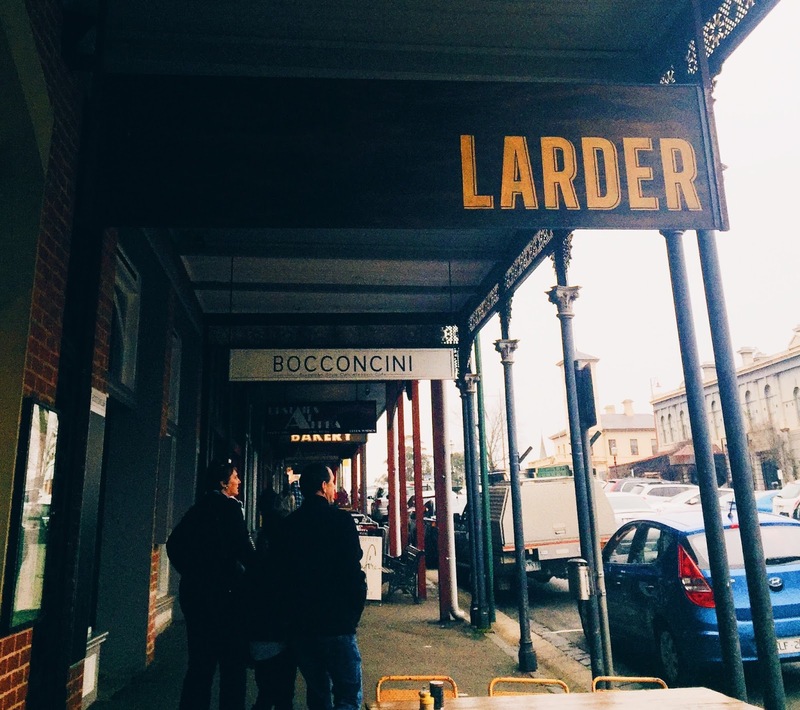 Larder is located on Vincent Street, one of the main streets in Daylesford, and being a small town, you just have to take your car there, unless your hotel is close by.